All rebuilt Power Stroke engines are close to "Brand New"
They are shipped with new oil pump and timing components. We welcome all Ford Truck owners to our site. Being at the right place at the right time makes all the difference ! We assure all Ford truck owners who are browsing this site that they don't need to look further. We offer the best Ford Powerstroke Rebuilt engines for your Super Duty Ford F150, Ford F250, Ford F350, Ford F450 & Ford F550 trucks. 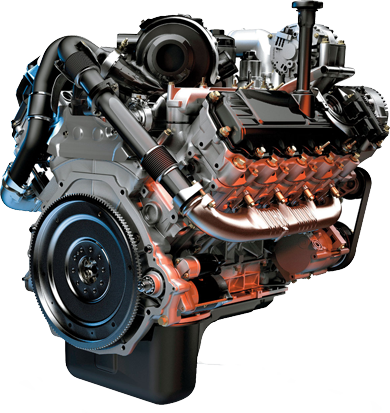 Engine World Inc has a track record of setting higher standards in Engine manufacturing business for over a decade. We have an outstanding team that is perfectly poised to outperform any competition in Engine business in United States. Knowledge has been our burning fuel. We sell more so we learn more. 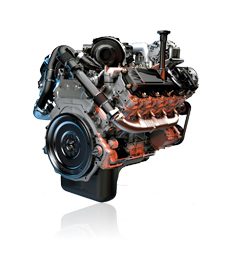 Our success in Japanese engine business has inspired us to venture into new products in engine business. In 2015 we vowed that we will successfully start rebuilding Ford Powerstroke engines. We assure proud Ford truck owners that our Ford Powerstroke rebuilt 7.3 ltr, 6.0 ltr, 6.4ltr & 6.7 ltr engines are built with precision and cost approxamately 25% less than our competition. 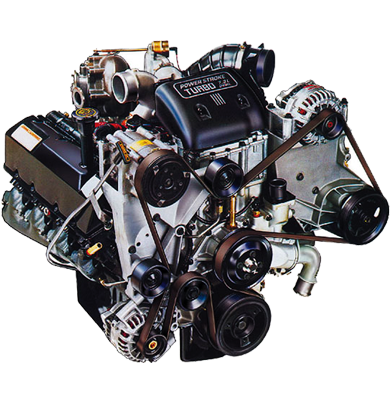 ENGINES WE OFFER: FORD 7.3 LTR POWERSTROKE This V8 diesel engine fits Ford Super Duty F-250, F-350, F-450 & F-550 from 1999-2003. This is a 16-valve Turbocharged engine with horse power ranging from 235 hp to 275 hp. Ford 7.3 ltr engine has electronically controlled direct injection system. This engine was manufactured by Ford until mid 2003. FORD 6.0LTR POWERSTROKE This is a 32-valve, 325 hp Turbocharged V8 diesel engine for all Super duty Ford trucks from 2003-2007 models. This engine had a split shot HEUI fuel injection system where H.EU.I stands for Hydraulic electronic unit injectors. This engine by design has blown head gasket problem and in most cases cylinder heads crack. When we rebuild Ford 6.0ltr Power-stroke motor we take extra precaution to make sure our rebuilt engine lasts longer. FORD 6.4 LTR POWERSTROKE This is 6.4 ltr or 387 cu in, 32-valve sequential turbocharged V8 motor with 350hp that fits 2008-2010 Super duty Ford trucks. 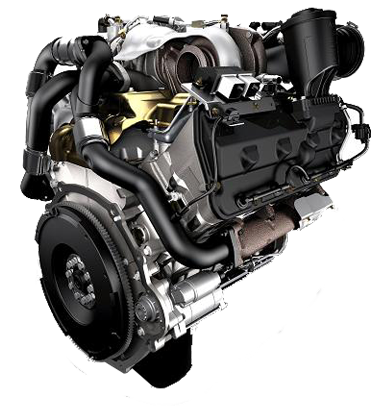 The main features of this engine are dual turbochargers, high pressure commonrail fuel injection control system & Diesel Particulate filter to reduce emissions. FORD SCORPION 6.7LTR POWERSTROKE This is the third generation 6.7 ltr, 30-valve, V8 diesel engine which has horse power ranging from 390hp to 440hp. In addition to above models we also carry following gasoline engine for Ford Super Duty F150, F250, F350, F450 & F550. Ford 6.0 ltr engine for all Ford trucks for sale. Fits Ford F250, F350, F450, F550. 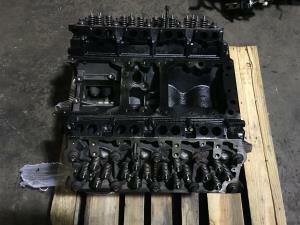 Ford 6.4 ltr rebuilt power stroke engine for Ford F250, F350, F450 for sale. Ford 6.4 ltr rebuilt diesel engine for sale for Ford F250 & F350 trucks. We rebuild these engines with BRAND NEW Cylinder heads, pistons, piston rings, main bearings, rod bearings & gaskets. These engines are built to last. Ford Power Stroke 7.3 ltr diesel rebuilt engine for Ford F250, F350, F450, F550 for sale. Ford 6.4 ltr diesel engine for Ford F250, F350, F450 Ford trucks for sale. This engine fits 2008 to 2010 trucks. 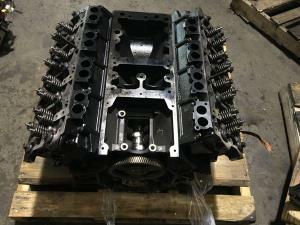 Rebuilt Ford 7.3 ltr Power Stroke engine for Ford F250, F350, F450, F550 for sale. Ford 6.0ltr power stroke rebuilt diesel engine for Ford F250, F350, F450, F550 for sale. 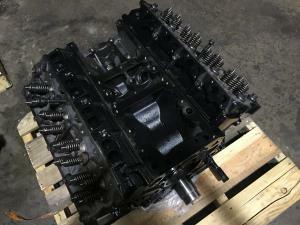 Rebuilt Ford 7.3 ltr Power Stroke diesel engine for Ford F250, F350, F450 for sale.